Note: this is not legal advice. This is my opinion, nothing more. If you want legal advice, hire a lawyer. July 16, 2010 – I’ve said all along that actual incorporation of code makes “the work is probably derivative, and the GPL probably applies.” With that in mind, please go read Andrew Nacin’s post about actual incorporation of code. There are no atheists in a foxhole, it’s been said, and there are apparently no agnostics when it comes to the potential application of the GNU General Public License (GPL) to WordPress themes. My last post, which analyzes the matter from the perspective of copyright law (as it must) generated quite a bit of debate even though it’s been raging for far longer than I’ve been following it. I concluded that, under our current copyright laws, WordPress themes are not “derivative works” and therefore are NOT automatically covered by the GPL (unless, of course, the theme author deliberately chooses to release under the GPL). And that pissed some people off, and pleased a few others. One even accused me of wanting the powers-that-be to “bless” my decision to go with a premium WordPress theme. (Um, no.) Others encouraged the sides to settle the matter in court. Some simply waved their hands and said, “There is no debate,” as if they weren’t debating by leaving their comment. None of your opinions matter… and neither does mine. Derivative work, independent creation, something in between… it doesn’t matter in the end. Why not? Because whether the GPL applies to WordPress themes or not… whether they are derivative works or not… whether they are part of a “combined program” (as the Software Freedom Law Center advocates) or not, the WordPress GPL can’t stop you from developing, distributing, making money from, and asserting copyright in, WordPress themes. Because the Fair Use Doctrine protects you when you do. How can Fair Use apply to premium WordPress themes? First, it’s important to remember that the GPL is a copyright license: it allows people other than the author the right to copy, distribute, and modify a work – in this case, a piece of software – that otherwise would be restricted to the author only under copyright law. That means that anyone who already has the right to do those things under copyright law need not worry about the restrictions of the license. The terms of the license only apply to uses which copyright law reserves to the author. And if a use qualifies as “fair use“, then copyright law expressly allows it without a license. Each factor weighs separately in the analysis. As to the first factor, copying for a commercial purpose “weighs against a finding of fair use.” Sega Enterprises Ltd. v. Accolade, Inc., 977 F. 2d 1510, 1523 – (9th Cir. 1992), citing Harper & Row, Publishers, Inc. v. Nation Enterprises, 471 U.S. 539, 562, 105 S.Ct. 2218, 2231, 85 L.Ed.2d 588 (1985). However, “the presumption of unfairness that arises in such cases can be rebutted by the characteristics of a particular commercial use.” Sega, at 1523. Such factors include whether or not the use complies with the “primary objective of copyright law [which] is not to reward the labor of authors but ‘[t]o promote the Progress of Science and useful Arts. '” Feist Publications, Inc. v. Rural Tel. Serv. Co., 499 U.S. 340, 348, 111 S.Ct. 1282, 1290, 113 L.Ed.2d 358 (1991). In other words, commercial use is presumed to be unfair, but that presumption may vanish if the use also promotes advancement of science and art. Publication of premium WordPress themes, by definition, is commercial, but in many cases, arguably promotes that advancement of science and art when they help produce web pages that are more artistic or which function, in some way, better. Almost all WordPress themes are created with this intent, and would be difficult to sell as premium themes if they miss the mark. We further note that we are free to consider the public benefit resulting from a particular use notwithstanding the fact that the alleged infringer may gain commercially. Public benefit need not be direct or tangible, but may arise because the challenged use serves a public interest…. In the case before us, Accolade’s identification of the functional requirements for Genesis compatibility has led to an increase in the number of independently designed video game programs offered for use with the Genesis console. It is precisely this growth in creative expression, based on the dissemination of other creative works and the unprotected ideas contained in those works, that the Copyright Act was intended to promote. Sega at 1523. (citations omitted) Like in the Sega case, WordPress themes promote a “growth in creative expression” by making WordPress easier to use or more aesthetically pleasing. I think a court would find this factor in favor of fair use in the case of WordPress themes. But just for sake of argument, let’s tip the balance on factor one slightly against fair use for now. The second statutory factor, the nature of the copyrighted work, reflects the fact that not all copyrighted works are entitled to the same level of protection. The protection established by the Copyright Act for original works of authorship does not extend to the ideas underlying a work or to the functional or factual aspects of the work. Sega at 1524. (citations omitted) And, “To the extent that a work is functional or factual, it may be copied.” Because computer programs are largely functional, “many aspects” of computer programs are not even protected by copyright. Sega at 1525. To be fair, the “nature of the work” analysis can be much more complicated than I can discuss here, but generally speaking, more protection will be provided towards fictional, fantasy, and entertainment works, with less protection being given towards largely functional works, and none at all to some types of works that are purely functional. As a computer program, WordPress is highly functional in nature, and therefore enjoys less protection than pure works of imagination. Based on that sliding scale, it is fair to tilt the second factor in favor of fair use where the nature of the work is a content-management system for web pages, such as WordPress. The third factor is the “amount and substantiality of the portion used in relation to the copyrighted work.” In other words, how much of the protected work was used, and how important to the work was that portion? Both the quantity and the quality of the copies portion matter. Salinger v. Random House, Inc., 811 F. 2d 90 (2d Cir. 1987)(where copy was “essentially the heart” of a copyrighted work, factor three weighed against fair use). In the case of WordPress themes, this factor weighs heavily in favor of a finding of fair use. No theme that I’ve ever seen incorporates any actual code from WordPress; instead, they rely on function calls to the main program, asking it to send data back to the program that comprises the theme. In other words, the only portion of WordPress “copied” are the names of the functions themselves. As a percentage of the total amount of code in WordPress itself, this is simply a tiny amount. Furthermore, the names of the functions are, in themselves, hardly the core part of the expression from a qualitative nature. Both from a quantity perspective and a quality perspective, there is almost no significant copying of any protected WordPress code. Factor three, then, weighs in favor of fair use. The fourth factor, though, is the real clincher that leads me to believe the distribution of premium WordPress themes is fair use of any protected WordPress works. The “market effect” test has been deemed by our Supreme Court to be “undoubtedly the single most important element of fair use.” Harper & Row, Publishers, Inc. v. Nation Enterprises, 471 U.S. 539, 556-57, 105 S.Ct. 2218, 2233-34 (1985). The “market effect” test determines whether the alleged copyright infringement would somehow depress or diminish the ability of the author of the protected work to market that protected work. In this case, the answer is a head-slapping “Of course not!” It is axiomatic that a WordPress theme cannot function unless there is a copy of WordPress running to support it; in fact, this is one of the arguments that GPL proponents make to support their case that the themes are derivative works. The “copying” by theme distributors can never displace a single copy of WordPress, so there is no negative effect on any potential market; and in fact, by enhancing the aesthetic and functional value of WordPress, themes promote more widespread use of the underlying software. Developers of WordPress themes increase the market for WordPress, not depress it. Increasing WordPress market share is in the theme developers’ best interest, for more WordPress users means more potential customers for premium themes. Because the impact of premium themes on WordPress market share is at worst neutral, and in all likelihood premium themes substantially bolster the market share of WordPress with respect to its competitors, the fourth factor weighs heavily in favor of a finding of fair use. As the “most important element” of fair use, this finding cannot be understated. Of the four factors of fair use, two weigh heavily for fair use, one slightly in favor, and the other we allowed to tilt slightly against even though it could easily go in favor of fair use. To be sure, changing the underlying facts could change the outcome of any individual factor, but based on the facts as I understand them, development and distribution of WordPress themes, to the extent they engage in any “copying” or derivation from WordPress code, are resoundingly fair use of that code. And if they are fair use, then federal copyright law expressly allows them to be made, copied, and distributed with no regard whatsoever to the GPL or any other license that may apply. So all the hemming and hawing about whether themes area derivative work, or “should be” a derivative work, is completely irrelevant. Because the GPL need not apply in either case. Argh. You have committed a fatal misapplication of the fair use doctrine. I'm looking forward to your analysis of the legal issues. I'm pretty sure, though, that – like me – you're not holding your breath while doing so. Nice write up. As a theme author myself who is planning on releasing some commercial themes soon I have been wrestling with the GPL or not decision. This has helped tremendously. @Chip, your comments on this and other blogs I have followed with great interest. IANAL but it seems that “Fair Use” would apply to the end user not the company selling potentially infringing software. IOW, if I was a professor showing students how to set up a website I could use the “Fair Use” argument to use a commercial theme without paying for it but I really don't see how this applies to the WordPress v. Non-GPL Commercial Theme Vendors. It also seems that “Fair Use” wouldn't apply because the commercial themese are not “using” WordPress in the same manner that Fair Use has been applied, AFAICT. If it does apply it would seem that it would be applying the letter of the law and not the intent? Yeeeeah. I don't think fair use or derivative work arguments apply. The GPL specifically sets out some guidelines for what is considered “combined work”, as addressed in their FAQ. Citing a US law as something that cancels out an international law? Fail. The GPL FAQ is not the GPL. The opinions of the authors of the FAQ may illustrate what could be fair use, but ultimately fair use is a legal determination, made by judges and juries, not FAQ writers. And that's why we'll be having this debate next year, and the year after – because the authors of the allegedly infringed works would rather talk then test their theories in court…. at least, so far. Fair use is a legal defense to any alleged infringement by anyone – so anyone can invoke it if they qualify. As for the letter-vs-intent problem, copyright is a creature of statute, so the letter of the law is all we have – even if it's highly subject to interpretation. You mean I can inhale now? Yeah, after looking over the actual text of the license itself, it *does* leave things pretty vague on that account. However, I still don't think that fair use has any real weight here. 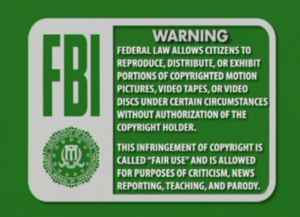 The intent of fair use is to prevent copyright holders from keeping their content entirely hostage. It allows limited usage of a portion of a work for the purpose of education, review/criticism, reporting news, parody, etc. The GPL attempts to turn fair use on its head. It removes *any* restrictions against distribution of a work, in whole or in part (providing you pass along the GPL with it). The GPL basically says that any use of the content is fair use, *as long as you continue to comply with the GPL*. ““primary objective of copyright law [which] is not to reward the labor of authors but ‘[t]o promote the Progress of Science and useful Arts.’” Feist Publications, Inc. v. Rural Tel. Serv. Co., 499 U.S. 340, 348, 111 S.Ct. 1282, 1290, 113 L.Ed.2d 358 (1991). So if I make a slideshow as ART of my photography and use an mp3 that I've purchased in it and post it online, is it potentially Fair Use after all? Or am I reading too much into that line? Meanwhile, reading the rest of this about the GPL, WordPress & premium themes? Fascinating. Does a theme work without WordPress ? No. case closed. Fair use doctrine is a codification of years of common law jurisprudence, the latter of which aimed to find the boundaries of copyright given the barriers of the First Amendment. Basically, one's bundle of rights from the Copyright Act cannot meaningfully infringe on another's First Amendment rights. Given that, your analysis is wrongly focused. The GPL allows for all the uses that, under a restrictive license (or under your analysis, no license whatsoever) would have to be allowed under the First — except one, which is the expressive value of one's choice of licensing scheme. I don't think one would do a fair use analysis at that point, but if for some odd reason you did, well, the decision to not use GPL wouldn't be a winner for Thesis. Christine, it's a VERY fact-intensive analysis. In that case, it may or may not be fair use. I wouldn't hang my hat on that, however, especially if you (I know you don't) live in Michigan. The Sixth Circuit has a much dimmer view of fair use relating to music than its sister circuits. What international law are you talking about? I can promise you that if WordPress ever gathered up the courage to test its GPL claims in court, the court would apply U.S. copyright law. The point here, however, is that the author of the original work has no rights except those created by law, 17 USC §§101 et seq. The GPL is a conditional waiver of those rights – in other words, the GPL only applies if the author has a protected right under copyright law. In the case of WordPpess, the authors of that work only have a protected right in WordPress itself and any “derivative work” – which I've previously argued, is not the case for WordPress themes. Whether the GPL spells out “combined code” or not is irrelevant – as a copyright license, the GPL cannot extend its reach beyond those matters covered by copyright law. And the “combined code” issue is a red herring, because a proper copyright analysis applies to the code as written, saved, and distributed, not code as executed. That would be patent law. Why do you assume that themes are separate from the wordpress codebase? If pearson only used function calls I might lean a little more his way, but Thesis is littered with code that is cut and pasted from fro WordPress core code. See http://drewblas.com/2010/07/15/an-analysis-of-g… This example shows that the work is derivative. Also, it would be incredibly difficult to create a wordpress theme that isn't derivative. This is because all theme developers rely on core wordpress functions that call the theme's files. Thesis isn't totally separate code that is using an API get posts, and displaying them on it's own. Rather the theme is housed inside of the structure that has been pre determined by wordpress, and if you create your code within this structure how can it not be derived from the GPL'd core? And this whole argument about fair use is crap. Themes are art, you've got to be kidding. I don't really know if the GPL applies — I've heard both sides argued well, albeit in a different context than WordPress. I tend to agree with you that it doesn't apply, but I can see it both ways. I know that you have an excellent point here, and I enjoyed both articles, but one thing stuck out at me. Just wanted to point out that this “saying” is extremely insulting to us non-believers. I'm not particularly offended in this instance since I understand you're simply using it as an opening in to an, as mentioned, great article. However, I think it's important to point this out and hopefully let this particular saying slip into history. Please, clarify for me…”The GPL is a conditional waiver of those rights…” because I agree that is true. The 'condition' being “I waive full copyright if everything hereafter based on WordPress is GPL, if not, then I my full copyright is not waived and is indeed in full effect”. Thanks for giving us a place to has out the conversation, btw. Maybe the phrase “conditional waiver” isn't the best way to describe it. The GPL is an author's waiver of his right to enforce copyright in his or her own work. In order to enjoy the benefits of that waiver, subsequent authors of derivative works must also license their own distributed code under the GPL. However, that requirement does NOT apply to legally independent works – only those which copy or are legally derivative from the primary work. This very website runs on WordPress – does that make my writing a derivative work? Almost all of us would agree that it does not. If I write a new WordPress plugin that copies numerous chunks of code from the primary codebase, is that derivative? Almost all of us would say “yes.” Themes are in a more grey area; I tend to think that, absent copying large chunks of code, they are not derivative. Obviously, not everyone agrees with me. But it's worth noting that the lawyers of various stripes who have looked at this issue fall on both sides; some of them have reason to advocate one side or another and some do not. Paige, as you noted, I'm merely repeating the saying, not endorsing it. So no offense intended, and I hope none taken. I can see all that, it seems the issue hinges on the legal differences between “dependent on” and “derivative of”… which are all issues with the GPL structure. I just couldn't make the leap from debating the GPL structure to your argument calling it as “Fair Use”. Expanding on this point — the code for creating a theme was first written by the programmers for wordpress under a GPL license. It was expanded by all the other theme authors, who all chose to give their code a GPL license. Any theme *must* use significant portions of this prior code, or on a basic technical level, it will not be a functioning wordpress theme. And this isn't just referencing function calls — for a theme to work, it must include significant portions of GPL code in the distributed theme itself. Mike – could you expand on how fair use applies in this situation? And if you do believe fair use still applies, doesn't it also imply that anyone could also re-use a premium theme's code without permission or GPL? As I understand it, it is possible to create a theme from scratch, using no more than the function calls. That doesn't mean that every premium theme was so created; you'd have to ask the coders themselves. If the premium themes were created using GPL-licensed themes as a starting point, then they likely would be derivative. Again, you'd have to ask each individual theme author. As for the fair use implication of deriving a premium theme on a previously-release GPL theme, it would vary greatly depending on the relationship between the “source” theme and the work derived from it. Did the premium theme copy “essentially the heart” of the original work, or just snippets of purely functional code that can't realistically be crafted in any other way? As for re-use of a premium theme, certainly there are potential fair use defenses for any such re-use but again, the application would vary widely depending on the specific facts of the case. As a wordpress theme developer, I have to say you are wrong — it is not possible to write the code for a theme “from scratch.” While it is possible to create a unique set of CSS and images for a theme that have no relation to any other, the PHP code must have certain basic structures in order to work with wordpress, and this code was originally written by the wordpress developers. This code can only be modified. Writing it from scratch would require writing a new CMS to go with it. While I respect you analysis of the situation from the perspective of intellectual property law, but I'm afraid it sounds a bit technically uninformed, and nowhere near as absolute as you initially indicated. It does very much depend on the specific facts of the case. I thought it was said in jest, as an obviously stupid phrase. Come on, it was said when fighting godless communists… who were in other foxholes… duh. Your two arguments (fair use here and derivative work in another article), focus on what copyright law says about the theme code (e.g. whether it's derivative work, or whether fair use can be claimed). You need to first ask what copyright law says about the WordPress code. WordPress software is protected by copyright. If a theme author uses WordPress, he is allowed to do so only because the GPL, not copyright law, gives him a conditional right to do it. In other words, without the GPL, a theme author has no right to copy the WordPress software at all, and therefore can't use it. Or as the GPL v3 para 9 states: “nothing other than this [GPL] License grants you permission to propagate or modify any covered work”. So there is no debate that you are free to write whatever theme you want and distribute it. But as soon as you copy WordPress in order to run the theme (whether you are the theme developer or the end user), you are only allowed to do so under the terms of the GPL. Because it grants you additional rights, the GPL, not copyright law, gets to define the terms and conditions for these rights to be granted. And the GPL does so in a rather precise way. Using the exact words from GPL v3: To “modify” a work means to copy from or adapt all or part of the work in a fashion requiring copyright permission, other than the making of an exact copy. The resulting work is called a “modified version” of the earlier work or a work “based on” the earlier work. If you run a theme in WordPress, you need copyright permission in order to copy WordPress, and the code added by the theme means this is not an exact copy. Therefore, there is no possible discussion that, as defined in the GPL, you “modified” WordPress. This has nothing whatsoever to do with derivative work: the definition of “modified” is in the license itself. The GPL does not deprive you from fair use rights or from the right to your own code. If you don't want to follow the license, that's perfectly fine. However, in that case, you revert to basic copyright and you are not allowed to copy WordPress. Nothing in the fair use doctrine or in the definition of derivative work will allow you to copy WordPress. And since a theme can't work without WordPress, you are basically stuck. In conclusion, it's good to remember that the GPL doesn't deprive you from any right, it grants you additional rights under some terms and condition. You are not forced to accept the conditions, but if you don't accept them, you can't copy the software. Whether you are a theme author or not doesn't make a difference. Whether what you created is from scratch or not doesn't matter. Whether you call or link or whatever doesn't matter. As I commented on the other post, you're confusing a license with a EULA. The GPL has nothing to say regarding the “use” of WordPress – execution of the code is not a protected right under copyright. The GPL applies only to modification, distribution, and other exclusive rights under copyright law. Furthermore, even if a user “agreed” to the GPL by merely using the software – something I do not concede – the GPL by its own terms applies only to those works protected by copyright law. Fair use is a codified exception to copyright law. Without copyright law, your whole argument is stuck – if the theme's not derivative, the GPL doesn't apply to the theme. WordPress, by the way, uses GPL v.2, not v.3. I'm asking here the same question as on the other article: are you stating that copyright law allows me to copy Microsoft Windows as long as I'm only executing it? If not, how do you run WordPress without copying it? I quoted GPLv3 because it's the latest thinking of the FSF and I find the wording clearer. GPL v2 talks about a “a work containing the Program or a portion of it, either verbatim or with modifications and/or translated into another language”, which is substantially the same. You phrased the debate as “if the theme's not derivative, the GPL doesn't apply to the theme”. There's no debate about that. But nobody can run the theme alone. The debate is whether the combination of WordPress and the theme is derivative, unless you can point to users actually running the theme without having copied WordPress first. And, as I've stated many times before, the analysis of whether something is “derivative” does not happen at time of execution of code – when the supposed “combination” occurs – but when the code is distributed. At the time of distribution, if a them contains no code copied from WordPress, it has not “incorporated” anything and would not be derivative. Therefore, the GPL does not apply to that theme's code. The only way, under the GPL, to accept the GPL, is to distribute “the Program” or a derivative work of the Program (defined elsewhere, as the term “derivative” is used in copyright law. The notion that you and many other adopt, that one “accepts” the GPL merely by downloading a copy of WordPress, is expressly rebutted by the GPL itself. Unlike WordPress, Microsoft has a EULA – which you agree to just by opening the sealed package. WordPress does not. It only has the GPL, which, under its own terms, only gets “accepted” if you distribute the protected code. If the user, who has agreed to be bound by the GPL, chooses to distribute the Program (WordPress) or a derivative work of the Program (as defined by copyright law) then they are required to license that distribution under the GPL. So if that user develops code that has NOTHING TO DO with WordPress, the GPL does not limit that activity. If the user develops code that WORKS WITH WordPress, but is not a “derivative” under copyright law, then the GPL does not limit that distribution in any way. You are quoting a part of the GPL that refers to “copying, distributing or modifying”, and similarly, the GPL v2 preamble states “offer you this license which gives you legal permission to copy, distribute and/or modify the software”. So I don't see how this rebuts my argument at all. Copyright law is pretty clear that by default, you are not allowed to copy software. If your EULA argument proves anything, it's precisely that you need permission to copy. So I don't follow you here. 1) It's OK to copy GPL software without agreeing to the license. If so, why? 2) You can agree with the license piecemeal, e.g. agree with the part that allow copying but disagree with the restrictions on modifications. If so, why is it OK to accept only the part of the license that suit you? 3) The opinions of the authors of the GPL do not matter much, in particular this one: http://www.gnu.org/licenses/gpl-faq.html#Linkin…. If so, why do you think your opinion is more important than theirs? 4) What all computer experts and the GPL authors call “linking” is only a “supposed combination” and therefore irrelevant… If so, can you explain how you think software is built? 5) Despite the GPL's obvious intent (as demonstrated by the FAQs listed above, or existence of a separate license, the LGPL, which allows linking), linking does not automatically create a derivative work. If so, how is that not a clear disagreement with the license that automatically terminates it? 6) Something more subtle that I missed entirely. 1) Why is someone allowed to copy WordPress? 2) Why is WordPress under the GPL and not LGPL? 3) Are themes “linked” with WordPress or truly independent entities? 3) Yes, they are linked. Ergo, themes must be covered under the GPL. If by “copy” you mean “download” and/or “install” it's because there is express or implied permission from WordPress which has nothing to do with the GPL. The GPL itself says that only users who in turn distribute the software – i.e., offer it for others to download – are agreeing to it. Read the whole document. Because it forked from B2, which was GPL v.2. It doesn't mater for copyright purposes. Intent of the authors cannot change the application of copyright law. “Linked” has no meaning under copyright law, no matter what FAQ you're reading. 1. are you stating that copyright law allows me to copy Microsoft Windows as long as I'm only executing it? 2. If not, how do you run WordPress without copying it? You don't. But WordPress allows you to download and install the software without first agreeing to the GPL. Go here: http://wordpress.org/download/ See that check box? The on that requires you to agree to the GPL before downloading? It's all in your imagination. There's not one in reality. No one agrees to be bound by the GPL in exchange for the privilege of installing WordPress. Not even the most aggressive of GPL advocates suggest that they do. And even if they did, it wouldn't matter. Agreeing to the terms of the GPL only limits you from distributing copies or derivative works under non-GPL license terms. So if there's no derivative work, and no copy, there's no GPL violation. I happen to professionally develop software myself, WP themes among it, and I oppose your statement. It IS very well possible to write a theme from scratch, taking the mere understanding of the WP API as a starting point, rather than copying code from elsewhere. So in a way, this might indeed restrict the validity of this article’s main point, because the reality might very well be that most themes are copies (PHP-wise) of other themes.